"We're hearing reports that the roads around Tibbet's Corner are completely solid," says the travel news. Thank goodness they're not liquid or gaseous, is our instinctive first thought. Then we notice the junction. Tibbet's Corner. Who or what was Tibbet, and why did he/she/it loiter at this corner for long enough to deserve commemoration in a million tonnes of concrete and tarmac? London encompasses a constellation of major junctions with folkloric names. Many recall ancient coaching inns, while others have associations with local characters. Here, we present a 12-way interchange of London's most evocative junctions. Image via Google Street View. We're not going to stand here with our own camera! 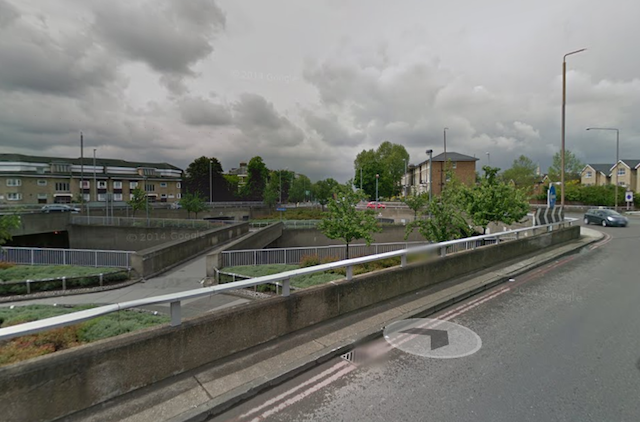 This Mill Hill treasure is an absolute dream to drive around, so long as you're doing so in Google Street View and never in an actual vehicle. We can't find any references to the name's origins, but we might presume that Apex Corner is so called for being on top of a hill, rather than for being the apex of human creativity and achievement. Bonus fact: in 1948 a bus load of school children had a narrow escape when an excavator accidentally rammed its bucket into the top deck, shearing off part of the roof. Great place, Apex Corner. Edward the Black Prince had it all: heir to the throne, military genius, first Knight of the Garter, and a really hard nickname. He died in 1376 before he could assume the throne. 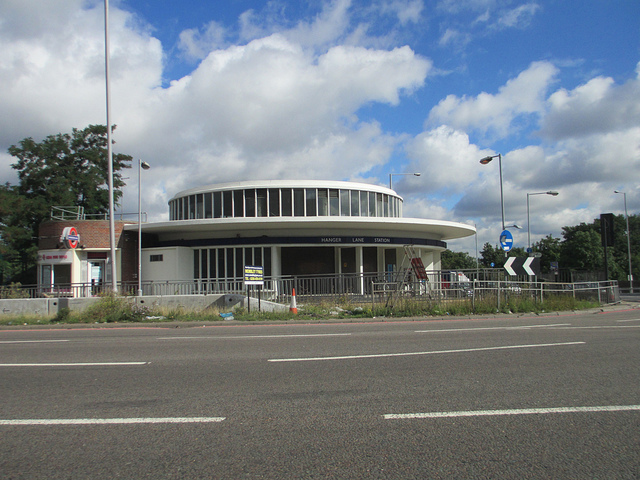 Yet his memory lives on at this busy Bexley interchange, built in 1972 and described by Sabre website as "one of the worst on the A2". The junction's actually named after the nearby Black Prince Hotel. This, in turn, got its inspiration from a dodgy ghost story about the warrior, who's said to haunt nearby Hall Place. Our obsidian aetheling would certainly have passed through the area on his way to kick in the heads of the French. Bonus fact: The Black Prince Hotel once held gigs by Cream and Genesis. Bexley rocks, progressively. The more chilled-out sister of Elephant and Castle, the Bricklayers threads together Kent Roads Old and New with Great Dover Street and the route up to Tower Bridge. It's named after an old coaching inn on the site, which takes its cue from the original land owners the Worshipful Company of Tylers and Bricklayers. Bonus facts: there used to be a railway station here. There's a military tank round the corner. Truly a confluence of transport. This Woodford junction has nothing to do with the moonfaced boy from Peanuts, but is named after a much celebrated publican. Charlie Brown, the 'uncrowned king of Limehouse', ran a famous pub in that region known as The Railway from 1893 to 1932. It was stuffed with curiosities from around the world, and something of a tourist attraction. His son, also a Charlie Brown, moved the collection to a pub in South Woodford in 1938. Alas, the boozer was knocked down in the 1970s to make way for the junction that now bears its name. Bonus fact: the original Charlie Brown's, in Limehouse, also succumbed to infrastructural intrusion. It was knocked down in the 1980s to accommodate the Limehouse Link road. Bonus song: watch Here Comes Charlie Brown by Ruairidh Anderson. So that's why they're called trunk roads. Image by M@. Whole essays have been written on how this inner London hub got its unusual name. The short answer: it's another junction named after an historic coaching inn. But that provokes the inevitable question as to why the inn opted for a fortified pachyderm as its symbol. The commonest claim is that it is a mis-hearing of ‘Infanta de Castile’, a title associated with Iberian royalty, some of whom, notably Eleanor of Castile, married into the English royal family. Tosh and, furthermore, rot say the mythbusters on the junction's Wikipedia talk page. This is just an urban myth with no credible source. Other explanations include a now-forgotten exhibition of Indian elephants in the area; an association with the Cutlers Company, whose shield includes elephants and a castle; and even mystical visions of the betusked creatures. Perhaps the most likely, and sadly most boring, solution is that an elephant with a castle on top was a common motif in medieval days, and the inn owner may have simply chosen it for some whimsical reason we shall never uncover. 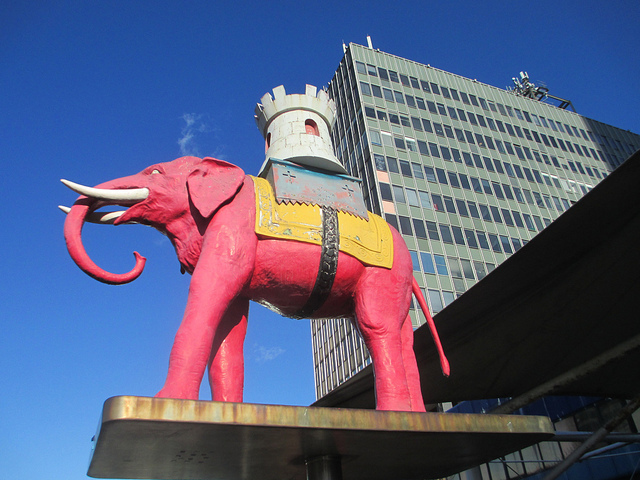 Bonus fact: Elephant and Castle is an anagram of 'A tentacled slap hen'. We have no idea what this means. Everyone knows that Marble Arch was formerly the site of Tyburn gallows, but it's not the only busy junction where wicked malefactors once swung by their neckmatter. Gallows Corner near Romford is named after a nearby execution spot that ably served the local community's hanging needs from the 16th to 18th century. Bonus fact: In 1932, a Metropolitan Police car collided with a cow at the junction. The animal was so badly injured it had to be destroyed. It was, in all probability, the last time the authorities had to make an execution at Gallows Corner. The idyllic, tranquil, place that is Hanger Lane Gyratory. Image by M@. Prosaic yet strangely mellifluous, the Hanger Lane Gyratory unites Western Avenue with the North Circular. You'll find Hanger Lane tube station nestling within its bosom like a squashed boater. Famous for snarl-ups and often dubbed Malfunction Junction, this is not somewhere you want to visit on your first driving lesson. Hanger Lane takes its name from Hanger Hill, whose contours are still visible. In turn, 'Hanger' comes from the Anglo-Saxon hangra, meaning a wooded slope, which is not so visible. Bonus fact: London's first segregated cycle lane was built here in 1934. Cyclists hated it. Now this looks like fun. Image by M@. This Chiswick junction of irresistible pulchritude is, of course, named after painter William Hogarth, whose house to the west can still be visited. The Hogarths bought the property in 1749 as a quiet rural retreat. Had he somehow lived another 200 years, the Gin Lane artist would no doubt have been tickled to see this tricorn highway sprawl across his front lawn. Bonus fact: the slender, single-lane flyover pictured above was added as a temporary structure in the 1970s. It's still there. In fact, it's currently undergoing repairs to further extend its life. Some have suggested that its sinusoidal form is designed to slow traffic down, lest the extra vibration cause a collapse. The eponymous memorial can be seen in the background. But we just had to include this struggling motorist. From Google Street View. Not all roundabouts are named after coaching inns and gallows. 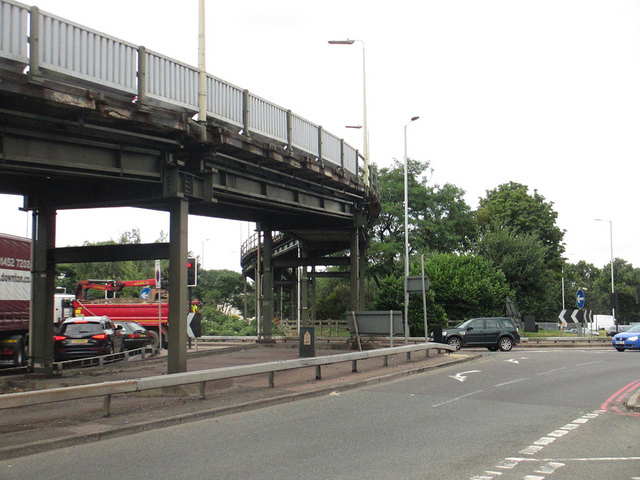 This South Ruislip junction on the A40 gets its nickname from the prominent war memorial to its north. The white pillar commemorates Polish airmen who gave their lives during WWII, many flying from RAF Northolt adjacent to the site. Bonus fact: probably the only road junction in Britain to be specifically visited by a mustachioed Noble Peace Prize winner. 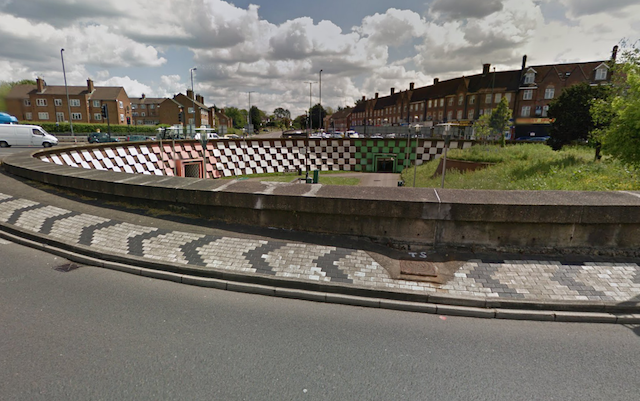 An outstanding feature of non-natural non-beauty beside the River Brent, Staples Corner is a Gordian knot of roundabouts, flyovers and stress. Given the cat's cradle of concrete, it's rather gratifying to learn that the junction is named after a mattress factory, which lasted until 1986. Improbably, it's since been replaced by another Staples, this time a vendor of office supplies. Which just goes to show that what goes around, comes around...especially if you get stuck in that tricky nearside lane. This concrete intrusion near Putney Heath occupies land once frequented by highwaymen, as recalled in a nearby sign. It's sometimes suggested that Tibbet might have been one such brigand. The limerick-friendly rhyming of gibbet and tibbet adds a pleasing resonance to the possibility. Those in the know, however, reckon that Mr Tibbet (or someone with a name very close to that) was gatekeeper to a nearby estate. Boring!